The 2012 London Olympic Basketball Tournament scheduled to be held from 28 July 2012 to 12 August 2012 will be the 10th time that women and men are competing together in the Olympic Games. Women's basketball was introduced into the games in 1976 while men's basketball was first played in 1936. The 2012 Olympic Basketball Tournament will be staged in two arenas. The 12,000 seater Olympic Park Basketball Arena built just for the Olympics is located within the Olympic Park. The second venue fir the summer Olympics is the 02 Arena, called North Greenwich Arena. With only 12 places allocated for Olympic basketball the qualification process is a long drawn-out affair. 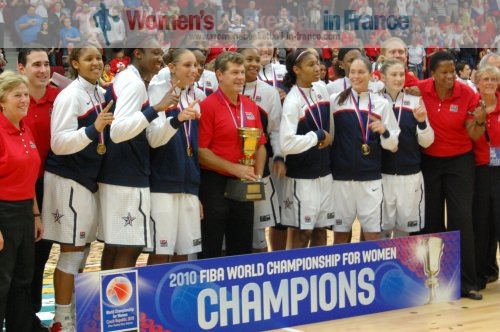 The USA as World Champions in men's and women's basketball were the first nation to officially qualify, while Great Britain's participation as hosts was only given the green light in March of 2011. When the USA beat the Czech Republic (89-69) in the 2010 FIBA World Championship for Women final they were the first team to qualify for the Olympic Games. Great Britain were given the green light by FIBA on 13 March 2011 in Lyon, France. The FIBA board voted 17-3 in favour of granting GB the host nation spot. 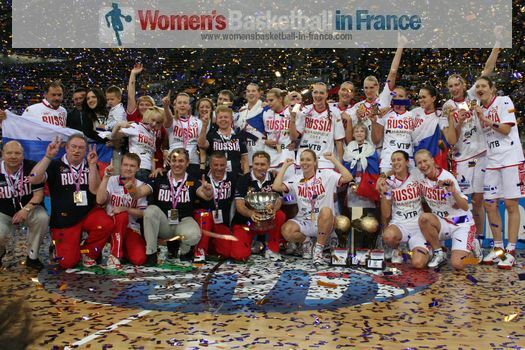 Russia received the automatic berth from the European zone by beating Turkey (59-42) in the 2011 Eurobasket Women final. Australia beat New Zealand (77-64), (92-73) and (82-57) to clinch the Oceania zone place. In the remaining continental competitions China beat Korea (65-62) in the Asian Championship, while Brazil crushed Argentina (74-33) in the FIBA Americas tournament. Angola claimed the AfroBasket Women title (62-54) against Senegal and have qualified for the Olympic games for the first time in their history. The players received a cash award of 30,000 US dollars each for the achievement by Silvestre Tulumba, a local business man. The remaining five spots for the Olympic games will be decided at the FIBA World Olympic Qualifying Tournament for Women from 25 June 2012 - 1 July 2012 in a venue yet to be decided. 12 nations will battle it out for the remaining five places at the Olympic Games. From Europe the following nations qualified after EuroBasket: Turkey, France, Czech Republic and Croatia. They will be joined by Argentina, Canada, Cuba, Korea, Japan, Mali, New Zealand and Senegal. In 2008 the FIBA Olympic Qualifying Tournament for Women was hosted by Spain in Madrid. The following countries have won their ticket for the London Olympic Basketball Tournament: Argentina, Australia, Brazil, China, France, Great Britain, Spain, Tunisia and the USA. The following 12 nations will battle for the three remaining places: Angola, Dominican Republic, Greece, Lithuania, Jordan, Korea, Macedonia, New Zealand, Nigeria, Porto Rico, Russia and Venezuela.